Have you ever surprised yourself with your writing? For example, by trying a new genre you didn't think you'd be comfortable in?? and my brief IWSG post will go up as scheduled. it never occurred to me that I would be blogging. it was almost completely unknown to me. Stumbling into blogging proved serendipitous for me. was a memoir on my family's time in the North. Blogging gave me an opportunity to tackle things in small bites. and to learn to balance my father's voice with mine. and enabled me to gain some perspective and distance. was the fellow bloggers I met. and became my blogging friends. I will forever be grateful to them! so I am looking forward to a productive month of writing. Wishing you a happy month of writing as well! 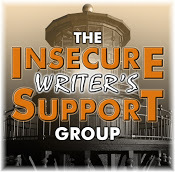 to get around and visit fellow IWSG members, but get around I will! except for Terry's luggage which arrived about twelve hours later. I've ever seen from an airplane. Thanks, Erica! It's fun to build new friendships around the world! Have a good one! Hi, Adam! B.C. 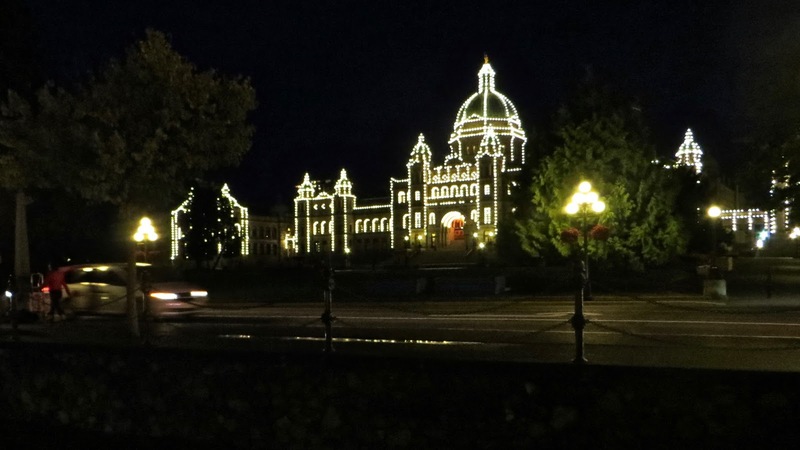 's Parliament buildings are gorgeous at night! Have a good one! I just remembered that you're in the southeast. I hope that you and loved ones dodge Hurricane Irma's wrath ~ Actually I hope everyone comes through alive and okay. I don't know the final path of the hurricane yet, but I'm wishing you and Daisy safe passage! You and your writing certainly enrich MY little corner of the blogosphere, Louise! Enjoy your time in beautiful Victoria! Thanks you so much, Debra!!! It's wonderful to be back in Victoria, even if there is all kinds of forest fire smoke. Terry and I made it to the Games Room in the Strathcona (Sticky Wicket) for dinner and drinks! Now we are all settled in at Helm's Inn by Beacon Hill Park. Aaahhhh! I hope that you and your Rare One are having a good week! And we are glad you found blogging! You're a better writer for it. You're so kind, Alex! Blogging has improved my writing, and it's given me much more confidence. I'm not sure where you are relative to Hurricane Irma's impending path, but I wish you and everyone else will come through unscathed. Take care, my friend! Blogging sure does give one lots of ways to up creativity and meet lots of great people too. Hopefully Victoria is a grand time once more and no smoke from those wildfires are near, blah to that. 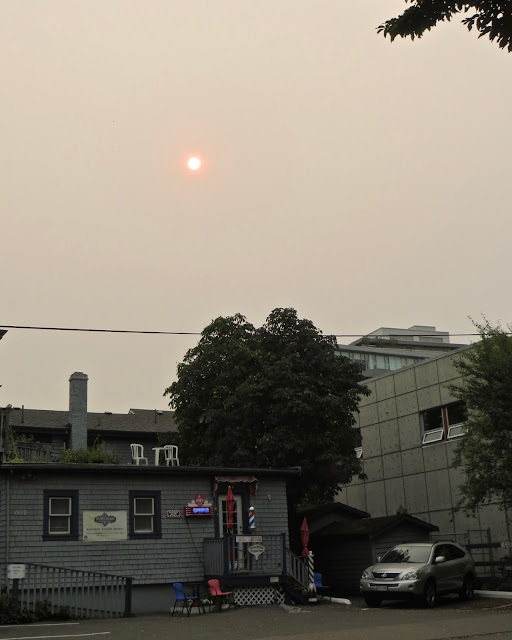 The smoke is still heavy in Victoria ~ bright sunshine but you wouldn't know it ~ It looks gloomy. Never-the-less I'm happy to be here! It's so relaxing ~ Everyone moves at a slower pace. Have a good one, my friend! Hi, Rain! Our hotel is very near Thunderbird Park in Victoria, BC. 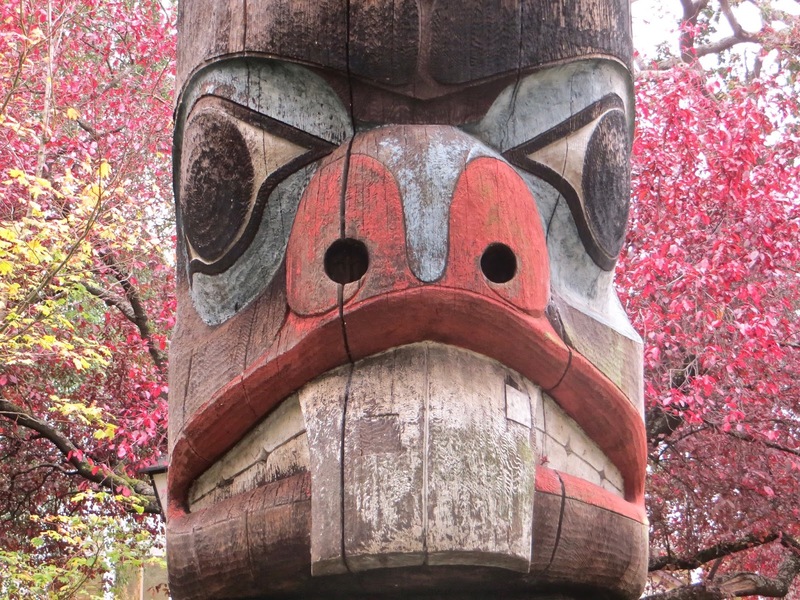 There are a number of imposing and beautiful totem poles in the park. This is just a little piece of one pole. I hope to do some travel posts while I'm in Victoria ~ time permitting. Blogging is such a fun way to meet introverted people like me!!! Have a great day! Thanks, Linda! I agree, blogging is way more satisfying than Facebook. I use both, but for different reasons. I'm really enjoying all the friends I have made. Have a wonderful day, my cherished Montreal friend! I like blogging. Much better than face book. Glad you've settled into a welcoming blogging community that converse with you. Happy blogging. Thanks, Andrew! The blogging community has been so welcoming! Have a good one, my poetic friend! Thanks for the welcome, Anna! This is our fourth trip to Victoria. We really love this city. B.C. is such a gorgeous province. Have a great IWSG Day! A beautiful place to visit! Enjoy. Hi, Lee! Victoria is a wonderful city. I'm so happy to be here. It is truly a beautiful place! Have a great IWSG day! AND>>>>> the meteor exploded near Kelowna, Nelson and other inland places to announce your arrival!!! Enjoy BC and all it will offer you. Hi, Jean! LOL ~ I hadn't heard about the meteor until your comment. Terry, though, knew all about it. I've been too busy packing up, traveling, and unpacking here. But I'll claim the brilliant announcement! Apparently on Labour Day ash was falling from the sky like snow in Victoria. I added a few photos from our trip to this post. I cannot believe the forest fire smoke. It blanketed much of the western USA and British Columbia as we flew over it. Unreal! There are horrible fires all across the west. 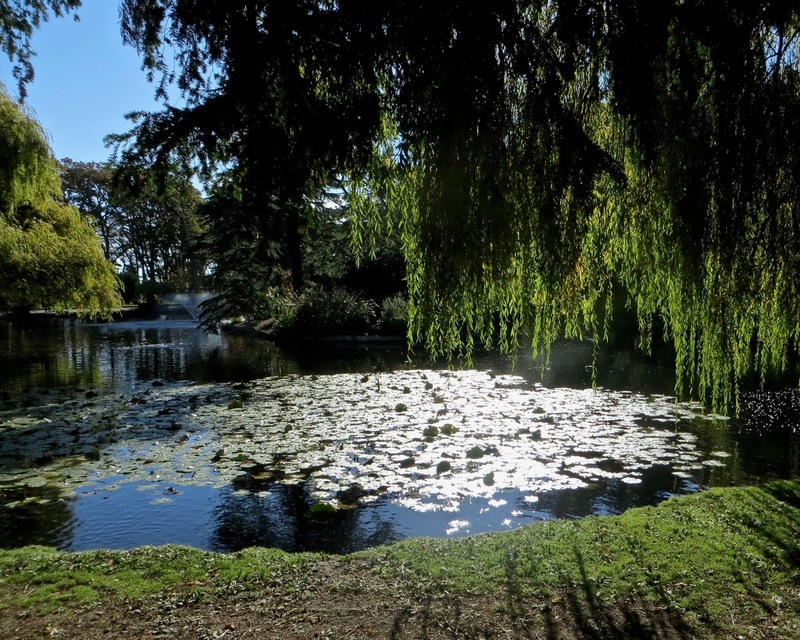 I am very excited to revisit all my favorite spots and find some new ones here in Victoria. We had coffee and scones at our favorite neighborhood coffee shop in James Bay. So relaxing, so fun! Wishing you and Hugh all the best! XO! Hi, Donna! I had to laugh at your description of Victoria as a little town! LOL Before I moved to the USA, I thought of it as very big, the capital of B.C. ~ but then most places I had lived were much smaller. 600, 200, or 9 people. Terry and I first saw Victoria in July 2015 on the way back from an Alaskan cruise. We fell in love with it and are back for our third September in a row. Have a good one! I am so happy that you discovered blogging and that you chose that avenue for your family adventures. I always look forward to Fridays and learning how your life in the north impressed who you are. Victoria looks beautiful. Hi, Peggy! You are one of the very special people I am glad to have met via blogging! Victoria to me has a magical, mythical feel ~ so beautiful, so different, history everywhere, and glorious flowers that would thrill you! Have a wonderful rest of the week ~ my love and best wishes to you, Don, and Ms Sadie! I'm not a writer, but I have a blog, so that is surprising in itself for me. I agree, the thing that I love most about blogging are the friendships I've made over the years. My best friend is one I met though our blogs and I can't picture a day not talking to him now and I have a few that have been a great source of support in other ares. I hope you have a lovely time in Victoria. I have never been myself, but it does seem peaceful and full of natural beauty. I would certainly love to visit someday as well. Hi, Theresa! I've only been enjoying your blog a little while, but I am here to say You Are A Writer! You may be posting on a specific type of blog, but you write very well! Victoria is peaceful and full of natural beauty. I love it here! Have a good one! I wrote first piece of poetry when i was 8 i think and i had no idea what was that so showed to my father his reaction to this was huge surprise for me . first he asked did you write it and then kissed my forehead . i miss days when i used to write like ideas drop in my head non stop and i felt compel to write them down .but since life got busy and specially my parents died few years ago everything seems broken and absurd . still i have hope that one day in future i will be able to think and write again . Blogging is blessing like me as personally i am introvert and shy so blogging gave me ideas ,topics which i find worth talking upon and people who share their experiences which make me learn so much more about life and people itself . above all blogging gave me friends who are so precious to me. Hi, Baili! I'm working forward catching up on everyone's comments. Like you, I find life so busy that it gets in the way of my time to write and to blog. And like you, I miss my parents so very much. I enjoyed hearing about your first piece of poetry. What a lovely memory of your father. You were destined from an early time to write poetry, and I hope that you soon find more time to spend writing poetry. I think that a lot of shyer and introverted people have found a home in blogging. It's fun to meet people from around the world and even more fun to make new friends and learn about different parts of the world. 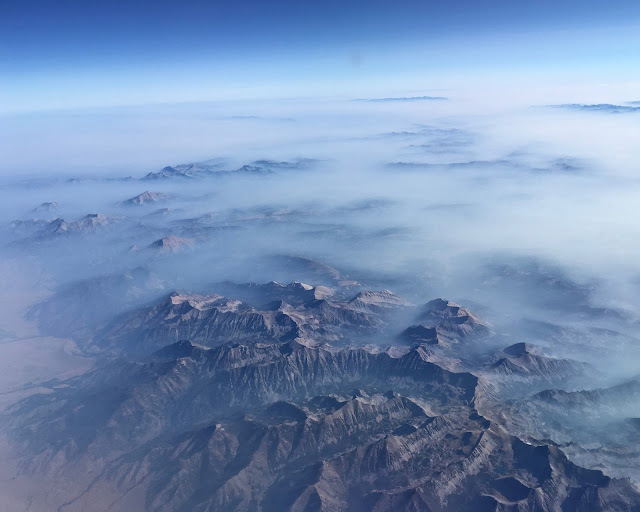 i am so sorry that your beautiful part of land is facing fires and storms these days .i will always pray for all the people who suffered with such painful experience and wish may they soon get out of it and feel better . Thanks for your well wishes for my country's current fires and storms. It is tragic to think of the people who have ben killed, injured, or devastated. It's also very sad to think what people on the islands in the Caribbean have suffered during Hurricane Harvey and the people in Mexico after their huge earthquake. Thanks for your kind words about my writing and photography, Baili. It gives me so much pleasure to share them. 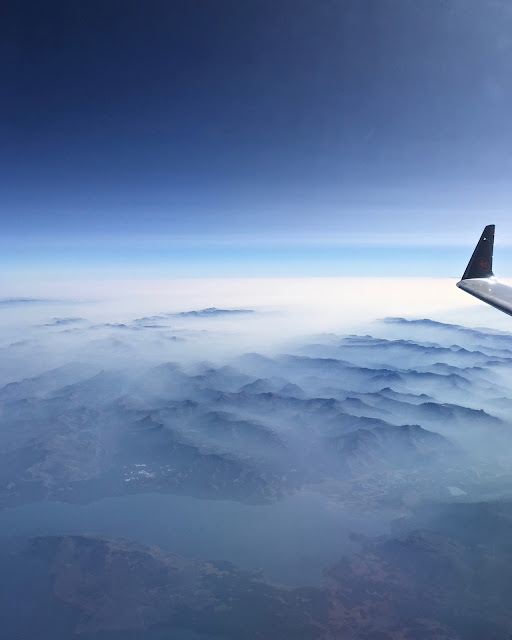 I use my point and shoot camera on the ground, but when I'm flying I like to use my iPhone camera. It takes better photos from the air; and, more importantly, the camera records the place that I am photographing as I fly over. Sending you big hugs, my dear friend! I never knew what blogging was 6 years ago. Wow. You're so right about the friendships that develop, the encouragement--like this group. I hope you enjoy your visit to BC. That forest fire is so awful. Hi, Diane! We're settling into our stay in Victoria. It's a wonderful city, and over the last couple of Septembers, we've become very familiar with the older part of the city along the inner harbor. I'm trying to catch up on commenting and visiting blogs this morning. I first heard about blogging at a staff meeting, where administrators suggested we blog with our school children. It didn't work too well, for a lot of reasons. Later I fell into it through a friend who gave me a big shove into it. I'm so glad he did! Have a good one!!! Thanks, Morgan. I have a number of posts about different places I love too. Like you, I enjoy the shorter lengths of blog posts and appreciate the feedback that I get. I've been blogging about five years now, and I enjoy the blogging community very much. I'm just getting around to replying to some comments that were posted after I arrived in Victoria. The days just aren't long enough! LOL Take care! 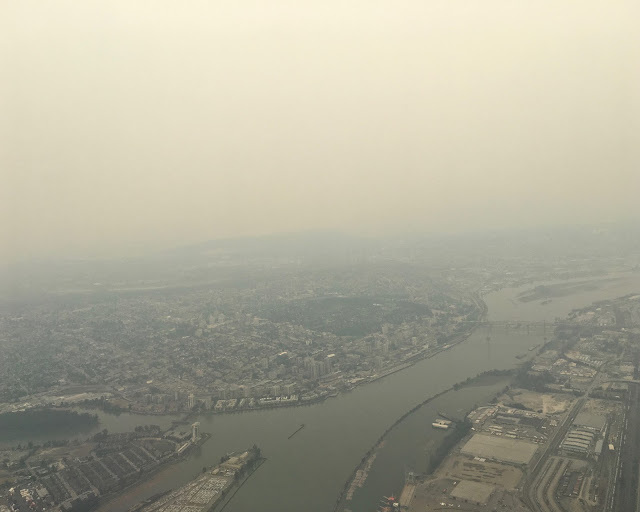 I've lived in Washington stage, just south of where you are, my whole life and I have never seen smoke like this before either. It's terrible. But, I hope you have a super productive writing time in B.C.! Thanks, Tyrean! The northwest is such a beautiful area. Yesterday I was walking along the waterfront of Victoria and gazing across the Strait of Juan de Fuca at the Olympic Peninsula. It is so lovely! Too glorious to be inside! I've got my computer and writing logistics worked out and am settling into to writing in my latest away-from-home spot. Have a good one! Victoria looks beautiful! It's so sad to see all the smoke! Hi again, Kathryn! Victoria is a lovely city. This is our third September here. We had some good rain over the weekend, and the smoky air is gone. The last couple of days have been gorgeous here in Victoria. Today is beautiful too, so I'll be heading out with my camera later. Take care! Wow. Those pictures of the smoke were amazing. Well done! I had to swing by and visit your blog after seeing your comment on another IWSG's post and realizing we'd both said more or less the same thing, verbatim! Ha ha. Talk about, "like minds!" Hi, Yvette! "Like minds" ~ I suspect that many of the IWSG members feel the way we do! I'm still playing catchup after flying to Victoria and settling in. It seems like I'm traveling around many IWSG days. I couldn't believe all my bad luck, until I realized that the cheapest flights are often on Tuesday or Wednesday, and they're the ones my husband books. Now I know to expect it. I'll be returning your kind visit asap! Take care! Louise, I am so happy I met you in blog land! I so enjoy your writings!! Have a great time in Victoria! Big Hugs! Thanks, Stacy! I'm so happy to have met you, too. You've been really on my mind here in Victoria. This year there are crows everywhere, and every time I see one or two or more, I think of you. I'm hoping to collect enough photos to put some up. Have a good day, my artistic friend! Thanks for sharing all those photos from your journeys! Happy trails. Thanks, Anne! Have a good one! Those ariel photos are stunning! Sounds like you've had a busy month. Thanks for sharing.